After last season’s disastrous showing, Michael Vick was declared DOA by frustrated, angry Eagles fans, the ever-so-opinionated Philly media, and most NFL “experts” far and wide. 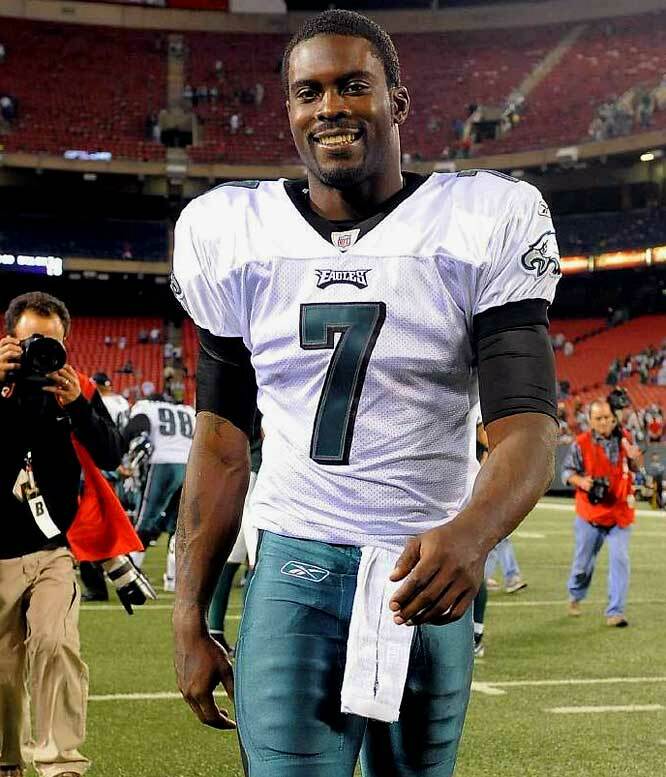 It seemed as though Vick’s days in the City of Brotherly Love were numbered. Who could defend Vick when the Eagles ended the season 4-12 and Vick himself was the Titan of Turnovers? Then along came Chip Kelly. Kelly’s decision to turn on the pressure cooker, toss in a couple of QBs and let them fight it out was brilliant. Vick has not only handled the pressure and heat, but is sizzling hot in his first two preseason games and in practices. The threat of losing his starting job to Nick Foles has literally lit a fire under him and he is showing – on and off the field – why he should be named the starter NOW. Kelly’s quick tempo offense requires a QB with maturity, experience and the ability to handle the hypersonic pace Kelly used in Oregon. Vick still has the quickness both mentally and physically to keep up with an offense that frequently has no huddle and consistently has little time ticking off the play clock. Foles has proven to be an adequate QB – perfect for a backup position – but it’s doubtful that when faced with real game time situations he has yet gained the experience to handle such a demanding, blazing offense. Off the field, Vick is showing he has matured. His response to the QB competition is the perfect example. Rather than lament about having to once again prove himself, #7 has graciously handled the media inquisition. He has also proven himself a more “Mature Michael” in his handling of teammate Riley Cooper’s recent racist rant. Vick stepped up as leader of the team and diffused a ticking bomb that could have easily exploded on the team early in the preseason. On the field, Vick has shown that he has the confidence and the mental capacity to handle Kelly’s quick tempo, rhythm changing offense. Kelly has had success with mobile QBs at the collegiate level. Love him or hate him, no one can argue that Vick’s dual threat abilities make him a much better fit for Kelly’s game plan compared to Foles. He is a dynamic, game changer who seems to have learned a lesson in humility after last year’s woeful showing. Perhaps more importantly, Vick seems to have developed patience – a trait often lacking in his past – that will hopefully prevent some of the bad game time decisions that earned him a 78.1 QB rating last season. The Eagles enter the season with a brand new coach and brand new game plan. Vick is part of that new reality and comes in with a brand new attitude. With Kelly at the helm, Vick won’t need to perform Superman feats in order to carry his team. Those Superman heroics often led to the fumbles and INTs (10 last season, with just 12 TDs) that defined him. Instead, Vick is part of a game plan that will give him better protection and keep the play calling fresh, effective and relevant. Kelly is not the typical NFL coach so it is hard to predict when he will declare the winner of his pressure cooker-like QB competition, but given Vick’s experience, maturity, dual threat and pure athleticism, there is no doubt that Kelly should choose him as his starter. The Eagles – with Vick under center – may just be the sleeper team of the year. And yes, I am a completely biased Eagles fan. Deal with it! FLY EAGLES FLY!